APM Terminals holds the concession to operate the Free Port of Monrovia for 25 years. Vessels coming to Liberia can now berth at the Freeport of Monrovia any time of the day and this has eliminated vessel waiting time and has improved efficiency and reduced logistics cost, APM Terminals Liberia announced on Wednesday, February 13, 2019. According to an official release, the company has commenced the berthing of vessels 24-hour a day at the Freeport of Monrovia. 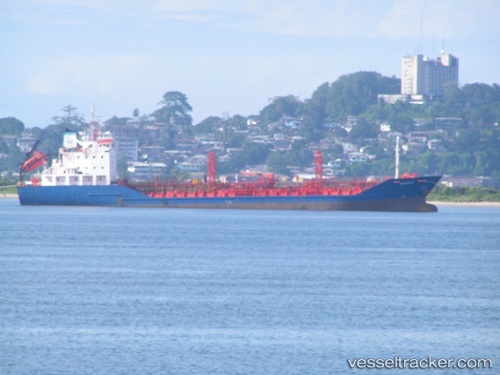 “Until now, the berthing, mooring, pilotage, and towage of vessels at the Freeport of Monrovia was restricted to only day-time operations between 8am-6pm,” the release said. APM Terminals has helped Liberian President Ellen Johnson Sirleaf shed new light - quite literally - on one of the West African nation’s key fiscal expansion strategies. Sirleaf recently inaugurated a new navigation system at the Freeport of Monrovia, enabling 24-hour access to the country’s landlord maritime hub for the first time in three decades. Previously, the absence of buoys, lighting and electronic navigation systems limited access at the port, built by the US Military for strategic purposes during World War II, to daylight hours. The new $500,000 investment including 12 off-shore buoys and two land-based range markers is a key milestone in APM Terminals’ $120m, 25-year concession agreement with the Liberian government for the privatization of the port.